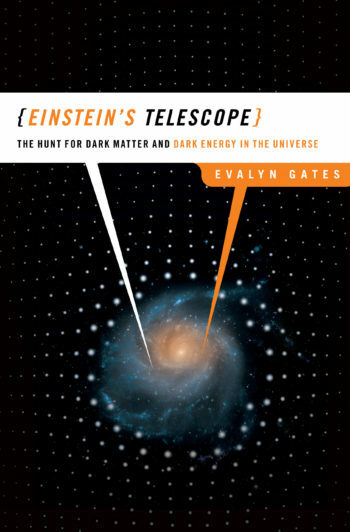 In Einstein’s Telescope, Evalyn Gates suggests that there is a tool that may offer a way to answer these questions. Based on Einstein’s General Theory of Relativity, gravitational lensing, or “Einstein’s Telescope,” is allowing scientists to see the unseen and to measure the unmeasurable. These new discoveries are taking us to the brink of the next revolution in scientific thinking—one that may change forever our notions of where the universe came from and where it is going. Starred Review. As exciting as it is informative. What stands out in Evalyn Gates’s cogent review of this intriguing topic is the sheer cleverness astronomers have demonstrated in fashioning tools to study the unseeable. Gates . . . brings dark matter, dark energy, and even black holes to light . . . with deft humor and grace.